Do You Think in Questions? What are you wearing today? Why? When you got ready to get dressed this morning what caused you pick out what you have on today? If you are anything like me most days I do a pretty good job of dressing myself considering what my day has in store for me. I usually consider the weather, if I will be doing anything special and even what I wore last time I saw the people I will be seeing that day. 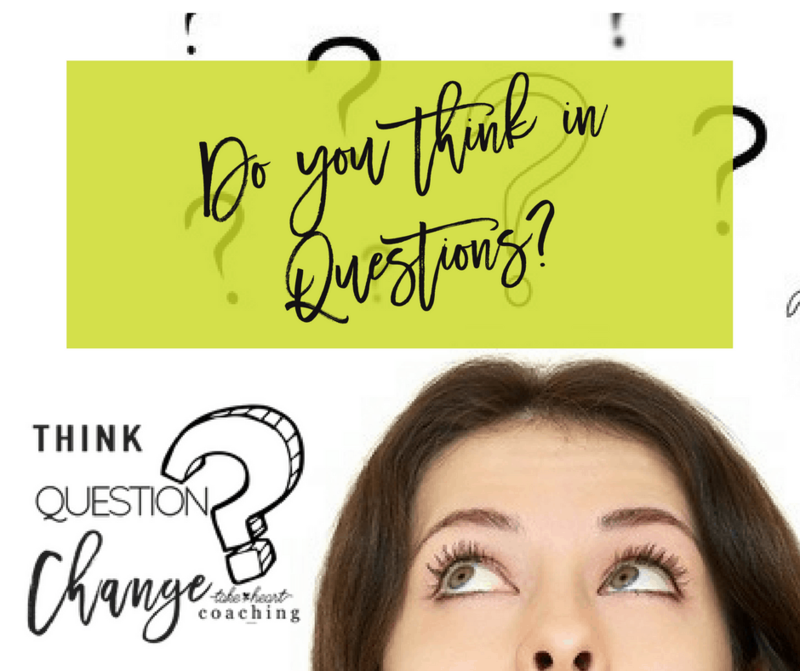 I would have said no when I first heard that question and about Question Thinking by Marilee Adams but the more I think about it I realize I do, in a way. When I stand before my closet a ton of questions come to mind. What is the weather supposed to be like today? HOT. Do I want to wear pants or shorts? Will I be working in my office all day or do I have appointments? If I’m in my office the air-conditioning can cause me to be chilly at times something I don’t have to worry about if I am going to be running errands or going to an appointment. What shoes do I want to wear? Will those shoes go with these shorts? So yes, I think in questions much more than I realized. One reason I had not realized how often I think in questions is because I usually just hear the answers in my head not the questions. Since I usually just hear the answers I thought was thinking in statements rather than question. How about you? I would love for this to be a discuss. I want to know your thoughts on Questions. Please share below.